Sorry, I can't tell you which of these polling places will have the best cakes or sausage sandwiches, but feel free to offer some advice! A full list of polling booth locations is on the link below. My office has been getting loads of inquiries so you might want to share this link around as some traditional locations have changed. Voting opens on Saturday at 8am and closes at 6pm. 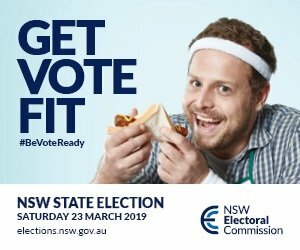 If you can't get to a booth on Saturday, pre-poll stations are open until 6pm today at Cooranbong and Toronto, and again tomorrow, Thursday until 8pm and Friday until 4pm.